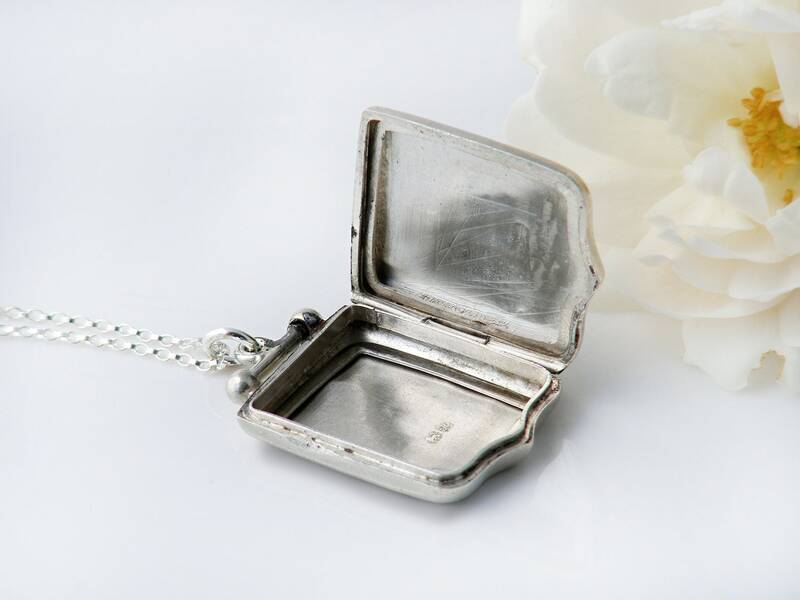 A very attractive sterling silver antique locket from the Edwardian era, a softly rounded shield. 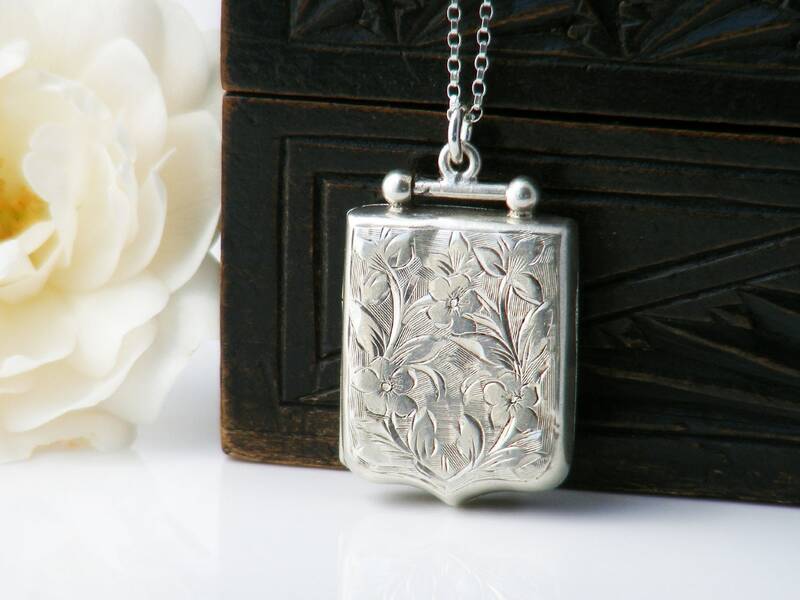 The locket is beautifully made and has a hand-chased pattern of Forget-me-not flowers to the front. 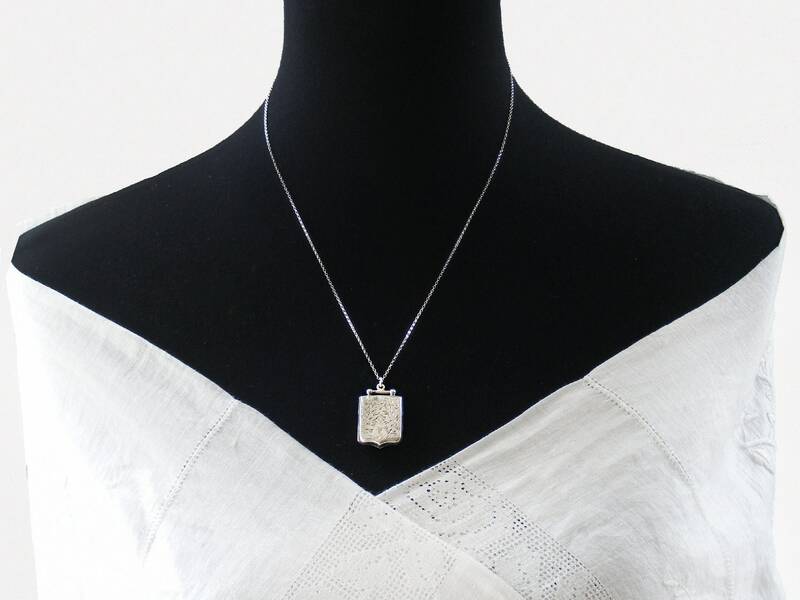 Full hallmarks for sterling silver, the City of Chester, England and the year 1908 - both halves of the locket are hallmarked, a sign of a good quality antique locket. Note that although the marks to the back are very worn, the inside front marks are very clear. 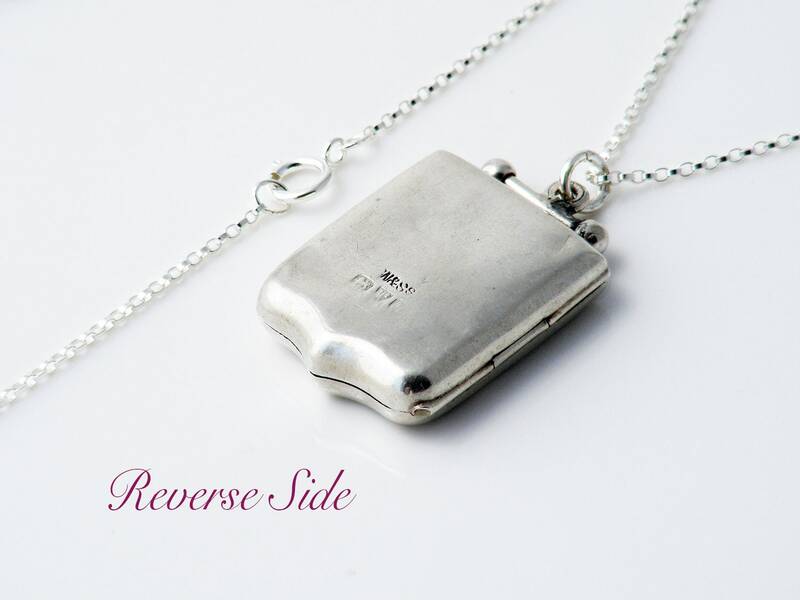 The top had a 'dumb-bell' style bail and this swivels so that the locket always sits nicely when worn. The full length hinge runs full length on the left hand side and there are two shield shaped photo retainers on the inside. 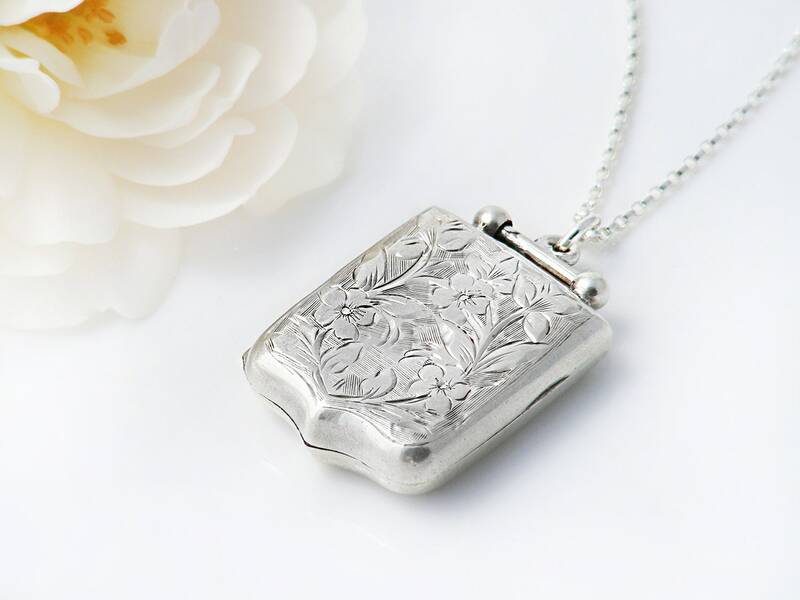 Locket Size: .75 x 1 inches (19 x 25mm) and approximately 6mm in thickness. Weight: 4.9 gms with chain. Condition: Very good. Mild surface wear and some shallow dents to the back (small and tricky to show in photos). The hinge is strong and closes well and stays closed. Nice natural patina to the silver. 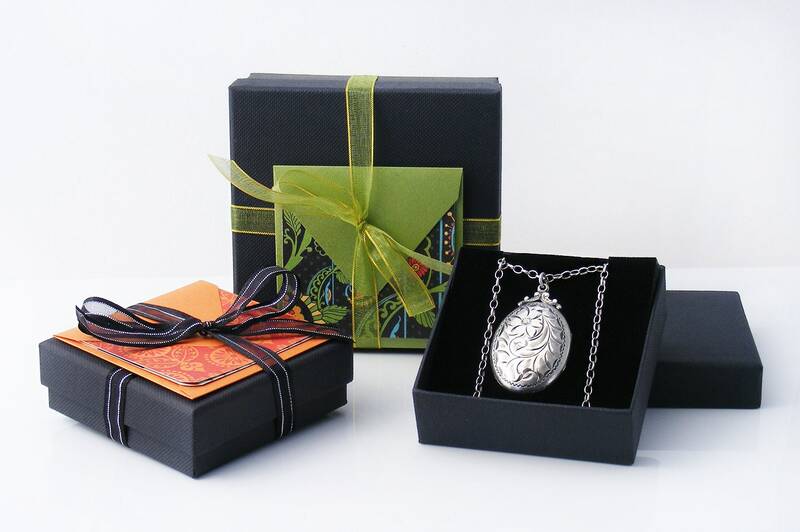 I love antique shield lockets and their symbolic strength. They are becoming somewhat difficult to find and this is a fine example.